That’s a lot of value in a card with a decidedly modest annual fee. Too much value, apparently, because the free-night perk is being pared back. 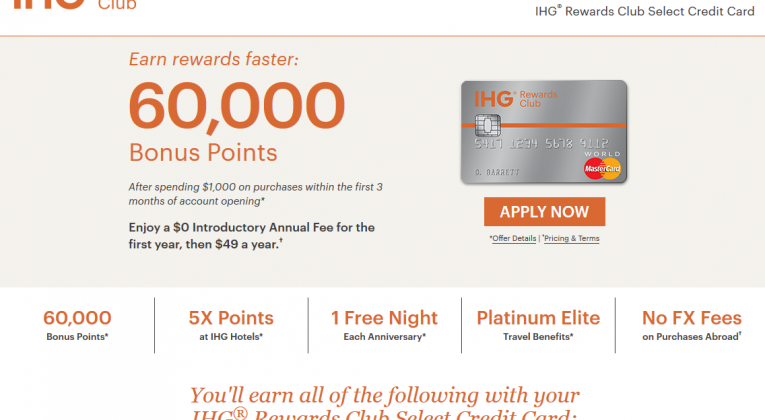 Beginning on May 1, the annual free night benefit will only apply at IHG hotels that would normally be priced at 40,000 points or less on the IHG Rewards award chart. IHG award nights can cost as much as 70,000 points, so clearly this is a significant devaluation. A surprise? Not really. Free anniversary nights from other hotel co-branded cards are restricted as well. With Marriott’s Premier card, the free night is limited to Category 1 – 5 hotels. And Hyatt cardholders are limited to Category 1 – 4 hotels for their anniversary free nights. The popular Starwood Preferred Guest co-branded card offers no free anniversary night at all. So there was no competitive pressure to offer unrestricted access. Result: regression to an increasingly stingy mean. So does this mean I should rush to book any unused free nights I have with this program? Paul – If you have unused certificates issued before May 1, they should still be good for free nights at any IHG hotel. The new restrictions apply to certs issued after May 1.